B2B Loyalty & Engagement Programs: Do They Really Work? 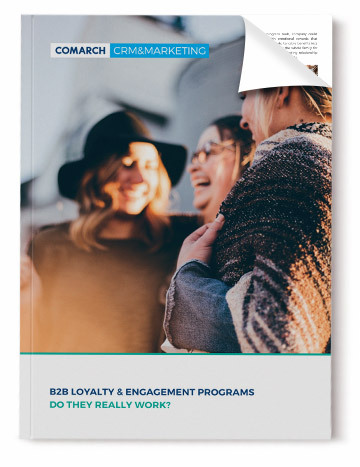 The white paper will discuss basics of engagement and loyalty programs in the past and today and point out dynamic changes in current B2B environment. Finally, we will share some tips and recommendations collected during projects with international brands, that can be useful when creating new or revamping your B2B loyalty program.